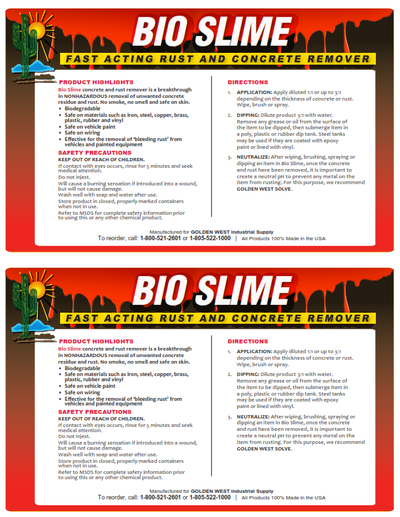 Golden West Industrial Supply is pleased to bring you the first concrete remover that works at your pace, AND is completely non-hazardous to ship and to use. 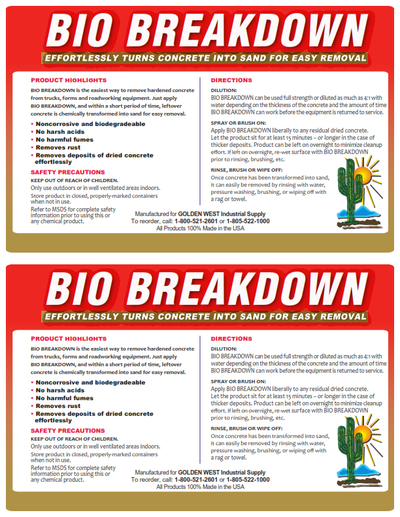 Spray ﻿﻿﻿Bio ﻿Breakdown II ﻿﻿on concrete equipment and agitate with a brush to break down concrete for immediate removal, or if you leave the product on,﻿ ﻿Bio Breakdown II ﻿﻿will convert concrete into mud for easy removal – either way, the product is among the safest, gentlest and least hazardous concrete removers on the market! 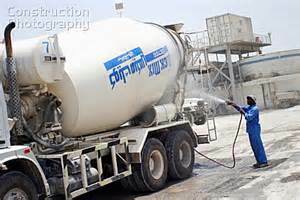 May be applied full strength or diluted up to 3:1 with water depending on concrete buildup. 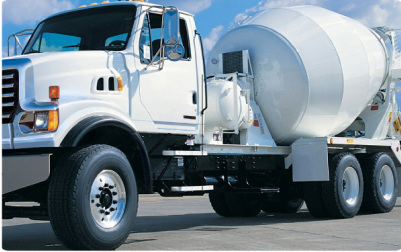 Ratio depends on the concrete’s thickness and how long is has been dried. Agitate with a soft-bristle brush to facilitate quicker removal. Rinse or power wash. Apply liberally to concrete or submerge item in a poly, plastic or rubber dip tank. Steel tanks may also be used if coated with epoxy paint. Let the product sit for a least 5 minutes to as long as overnight to minimize cleaning effort. If left overnight, re-wet concrete surface with product. Brush and rinse or power wash.
Only use outdoors or in well-ventilated areas indoors. Store product in closed, properly-marked containers when not in use. information prior to using this or any chemical product.